Book of Blue is a song book, an album of poetry inspired by the authors muse that professes her love in well written verses, colorful images, and paint the perfect picture of soul speak. Rebecca Ann Bank is a Canadian poet who is inspired by the arts, music, and culture of her native land. She has materialized from her authorship with an unparalleled and eloquent contemporary album of poems. The Book of Blue travels well with every word and phrase and exasperates the same emotions Dickinson conveyed in “Nature” is what we see. Banks unhesitatingly delves right into the principle theme of her book which is intertwined with undertones of love, nature, and spirituality. Her works that use to only entertain the feeds of Facebook now enter the language of the publishing world with a sweet serenade. Her poems reach out quietly and warmly welcome the reader with, ”Blue night skies”, “Streets of Sao Paulo”, “Light jewels through a tree”, and “Being kissed by the shadows of rain” Her words awaken her verses with scores of deep-seated emotion’s and are the perfect bridge to the defining trail of poetry she travels. The poet steps forward with incisive wordplay, originality, and she builds each poem vividly capturing the in-depth impressions of her feelings. She is not afraid to give herself intimately to readers in her works or bare her very heart and soul at local poetry events. I have read several exceptional books of poems this month but it has been some time since a book like Blue has intrigued me so much that I got caught up in its every word. It is beyond the question of a doubt that among modern poets Banks is in the position to be a consummate writer. "Mostly lyrical evocations of the ups and downs and mystical under layers of blue. Usually brief and often delicate the best of the poems keep opening after you think you've finished reading them." Who is Blue? (It's a rhetorical question of course!) I admit, I wanted to be Blue many a time along the ride. I even envied Blue because Blue's experiences were so enviable indeed! I would recommend this wonderful collection of poetry (or should I label it a Chapbook?) to anyone who considers themselves to be adventurous of mind. It could be interpreted as a warm and loving friend, but not a demanding one. It could also be interpreted as the friend you see in yourself sometimes (I hope that makes sense). That's how close you feel to the imagery in The Book of Blue. I read it in an hour! I wasn't expecting it to be so brisk, but it was a beautiful briskness. Actually, there were great opportunities for pause and reflection. I know I could have stopped a number of times and just drifted away in imagination, however I didn't take so much time to do so out of my own personal feelings at the time of reading. It's honestly the type of poetry that I would reach for if I were alone in a room and wanted to curl up with the proverbial comfy blanket and fireplace fire. I'm really glad I read this collection. It's a vibe I always enjoy meeting and it's the kind of vibe you never know when you'll be lucky enough to meet again. I wouldn't dare compare the writing style to anyone. I'm sure it could be compared if one wishes to do so however I think it would take away from the purity of what is being offered for discovery here. I should also mention that I was provided The Book of Blue for free in exchange for an honest review. If I had to go back and do it all again, I would purchase this book. Rebecca Anne Banks has produced a fine piece of literature and I will be following her work with interest from this point forward. The cover sets the tone for this eclectic collection of poetry by Rebecca Anne Banks of Montreal. Truth and simplicity are implied by the simple blue cover, a reflection of what is inside this beautiful book. In this unique collection, “blue” is personified- a mysterious force to be cherished, interpreted and understood. Is Blue the sky, or does Blue represent nature and everything that is good and pure? The readers must decipher the code of Blue and must decide what the concept of Blue means to them. Like an old friend or lover, Blue conjures up fond memories and warmth. Does Blue take care of the poet or does the poet quietly take care of Blue? Blue becomes the universal concept experienced by everyone, near or far. Blue is both dark and light, night and day. Blue is the “dove” that is free as the sky, yet unpredictable. Again, like an old friend, Blue is moody, sometimes quiet, sometimes feeling good, sometimes lost “under the sky”. Yet the dove is consistent, the thread that ties all these poems together. Blue is the lover for whom we await with anticipation and foreboding., who leaves with only memories left behind, both expected and unexpected. Invited and uninvited, but we always rejoice in seeing him. Blue is everywhere throughout these poems. Even the beat is in “blue rhyme”, true to the theme of this original collection. The concept of Blue represents so many things to different people, so we are left to interpret this collection to suit our own mood and values, open-ended as good poetry should be. In this section, Blue becomes an entity to have and to hold, within and within. Within, like your soul, and without like a baby in your loving and protective arms. Blue is made of seasons that come and go, always changing and transforming, like a spirit. The “hollow clang of bells” of Summer. Autumn is “a place stuck in stone”. The definition of “Subterranean” is “situated, living or operating below the surface of the earth’….’out of sight or secretly’. This definition is both reflected in this collection in the sense of Blue being a secret, open to interpretation, but also as a mystery, with the opposite visions of the blue sky above and the deep, dark earth below. Are we subterranean by existing “under the sky of night” in Subterranean blue? Blue is at home in the sky or on the road, compatible with the sky or the moon. Is Blue the sky? Or is Blue more like the spirit of Blue? In part man, in part child, the essence is anything and everything, like the air. Spiritual and physical, Blue exists on many planes. There is a belief in a higher being, both religious and mythical. 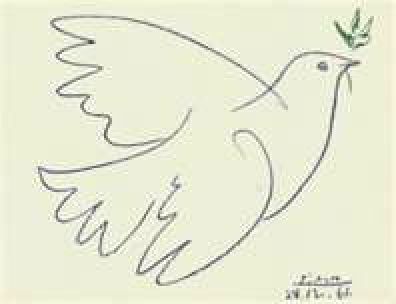 Again, we see the dove, flying through the pages of this reflective book. The world holds Blue, the angel holds blue and the poet holds Blue. Physical, with its “apples and oranges” but ethereal too, “of glory and happenstance”. The rain and the sun, day and night, meander through these poems giving shelter and warmth “somewhere under the shelter of the sky.” Nature and mystical are intertwined throughout, wandering through the universe. Blue is quiet. Blue is a gift. Blue is unwritten. Blue is omnipresent, a constant in the life of this poet. Blue is a man, to be loved and undressed and kissed “until the sky falls down.” With Blue, “the world is perfect”. Is it love that makes him perfect? Or maybe passion? The bittersweet throws of love are delicately described as a “beautiful heartache”. Again we are given the image of the colour orange, this time is the form of a “patchwork orange quilt for love”, vivid contrast to our friend Blue. Again, Blue is in the form of a man. He is “the man with the blue umbrella,” courting with his sweet talk of sunshine. There is hope as we picture the tulips blooming in the rain. The line “Blue rhymes with love” is a clue and tells us so much about the true meaning of Blue. This is a quiet Blue that sneaks into the night, “you slip down the stairs”. He is like a shadow in the night pouring in, quiet and warm. The seasons continue to change and weave through these words and images. Blue is a cool colour, yet the summer images conjure a feeling of warmth in these poems. Now Blue transforms from a force of nature to an “antique blue book” that brings both peace and comfort, just like the writing of poet Rebecca Anne Banks in this collection. 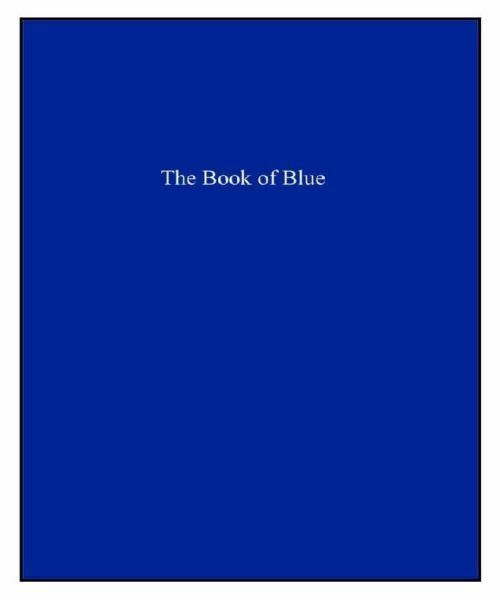 I recommend The Book of Blue as a refreshing visual image of words that delights and entertains with its powerful voice. Beautifully written and inspiring, this collection is one to read and enjoy again and again. and more poetry from The Book of Blue . . .
you'll always be a piece of my heart"
Written the night of August 6th, 2011.
in the silence . . . I'll just say "you're my gift from God." took away your home . . .
under the blue, blue sky . . .
we are friends of the sky. I wander the dark . . .
Blue, the man with the blue umbrella.